Start your kitten on the path to a healthy adulthood. NUTRO™ WHOLESOME ESSENTIALS™ Kitten Dry Cat Food Chicken & Whole Brown Rice Recipe contains DHA for brain and eye development and calcium for strong bones and teeth. Our premium kitten food is rich in nutrients, full of flavour, and has no artificial flavours, colours or preservatives. 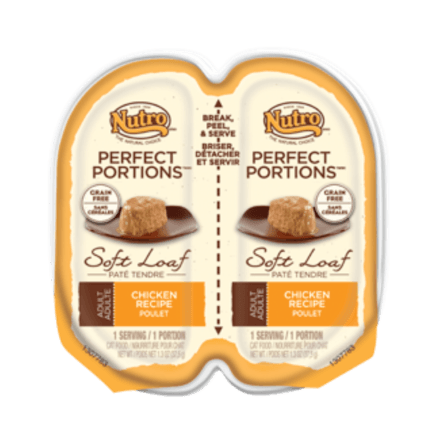 ‡Use a standard 8 oz (250 ml) measuring cup, which holds 3.96 oz. 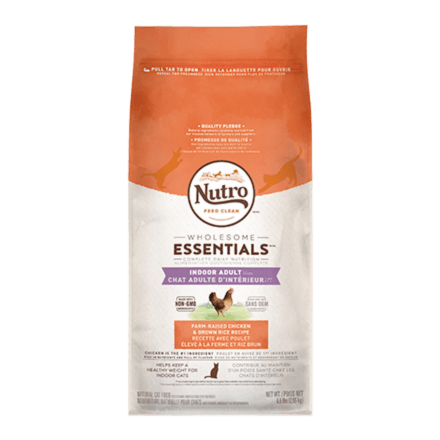 (112 g) of NUTRO™ WHOLESOME ESSENTIALS™ Kitten Chicken & Whole Brown Rice Recipe Kitten Dry Cat Food. 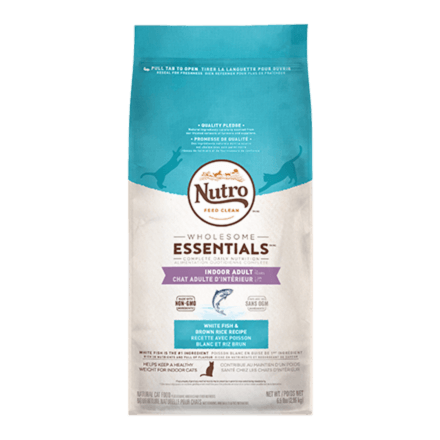 NUTRO™ WHOLESOME ESSENTIALS™ Kitten Chicken & Whole Brown Rice Dry Cat Food is formulated to meet the nutritional levels established by the AAFCO Cat Food Nutrient Profiles for growth, gestation and lactation.